SENER has signed a turnkey contract with ENCE Energía y Celulosa to build a 40 MWe (gross) biomass fuelled power plant in its energy complex in Huelva (Spain). SENER will design, supply, build, and commission the plant, as well as run and maintain it in its first years of operation. Operation is projected for the third quarter of 2019. 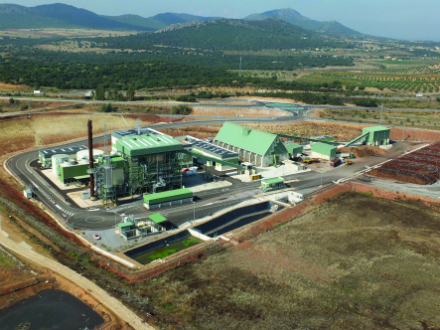 The Huelva plant will employ best available technologies and be similar to the Mérida power plant (pictured, left), which SENER also supplied turnkey for ENCE. Due to the variety of types of biomass to be used, the plant will be equipped with an advanced fuel handing system, both for incoming biomass and for its preparation and storage. The plant, which will fully comply with new BREF emissions requirements, will include a reheater integrated into the furnace and a double casing steam turbine (HP and LP), plus multiple extractions. It is expected to achieve a gross efficiency of over 35%.